This fellow was the most curious of the bunch. The question is, was he having a good hair day? Or a bad one? 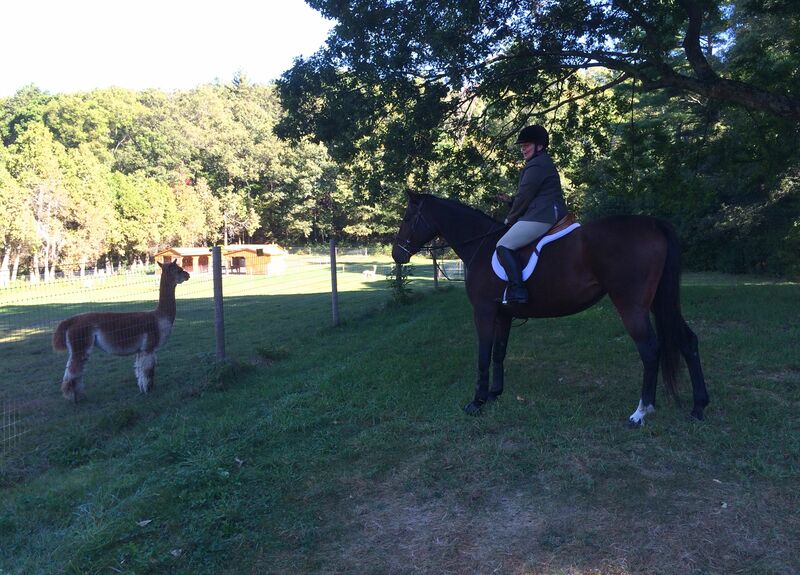 This morning’s hunt started from an Alpaca farm. 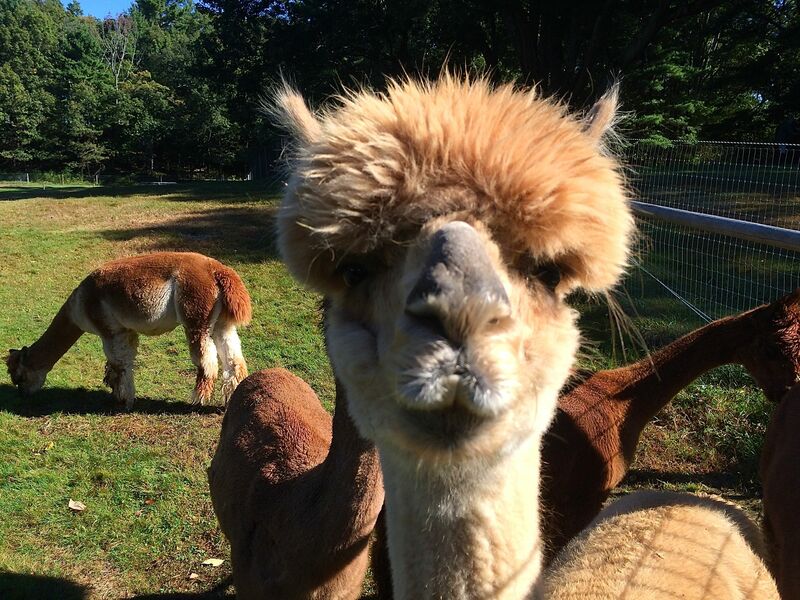 The Alpacas appeared last year — when Freedom first saw them his eyes got as round as saucers. At first he was too startled to move and then he proved that he could back up very, very fast. I wasn’t able to hunt today — work got in the way! But I did stop by in the morning to see the riders off. I was amazed by how brave the horses were this year. Not a single one ran or the hills. Jazz was fascinated by the Alpaca. Especially when he realized they could move. He stood his ground although there was a whole lot of snorting going on.